The expansive wilderness of Alaska encompasses everything from the highest peaks in the entire western hemisphere to the only glaciers within the United States. Breathtaking landscape across this vast region is made up of untouched wilderness few get to experience. 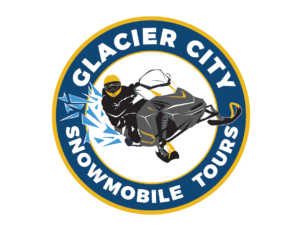 Riding amongst glaciers and experiencing them up close is something some may not have the luxury to enjoy in just a few generations. Taking these ancient, natural structures in while you can is an experience unlike any other. The snowmobile-navigable patterns they carve through the Alaskan terrain makes for one of the most thrilling activities most can ever dream of. 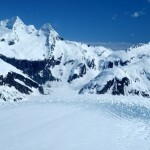 The glacier-fed valleys across southern Alaska, as a matter of fact, are the only in the world of its kind. 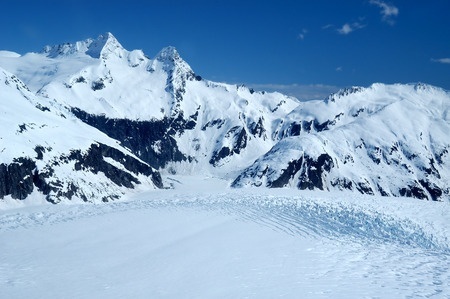 Spectacular formations and solid ice afford limitless exploration of the most expansive, virgin wilderness in the western hemisphere. Trees grow high as skyscrapers while forests are as thick enough to block light on the sunniest of days. Add to this rugged frontier the most unique and varied wildlife you will ever observe and you will have the most unique, story-worthy experience of your life. Your friends who decided to spend their vacations in the lackluster, uncharacteristic landscape of south Florida will regret not joining you to ride snowmobiles passed grizzly bears, over ice and through glaciers. The untouched frontier you only see in the movies is truly something to behold. Breathtaking landscape across Alaska is made up of untouched wilderness stretching for thousands of miles and will show you things you never thought possible. But for those who do get to experience it, they never forget it.